Have anyone used this kind of bag for their furkids? Is it comfortable for them? I have a pet backpack but it's already too small and I don't want to buy a bigger size. Mike has no problem going in and staying in it, but it quickly gets very hot inside and I want him to be comfortable. I'm looking for something to be used maximum 2-3 times per month when we go to places where dogs are not allowed unless in a carrier or backpack. Hello Mike, you might want to check with someone you might know that sews. People are always bringing me things to alter etc instead of buying new. 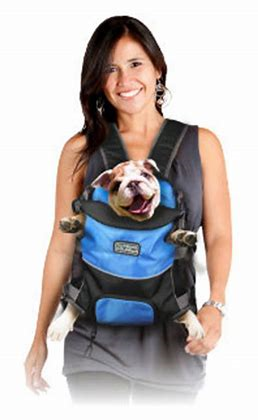 Example, I make dog harnesses out of soft window screening that people really like especially in the summer heat! Last edited by matese; 04-14-2019 at 09:44 AM. I don’t think that kind is good for them because that’s not how they would naturally sit. Oh this one looks great. Do you know the brand? I will try to look for it online. This is a great idea!!! However, the inside material of the backpack is really not nice and gets hot too quickly, so it will not be great for spring/summer times. But I will ask around if I can alter it for next winter. That worries me too(( but I'm at loss because there's not many options due to his size. I had one for my last 5lb Yorkie and he loved it. He was very comfortable in it and would sit still when he saw me pick it up. Never carried him in it for long periods of time but it did serve the purpose. I found it on Amazon. You can get it in PetSupplies I got a size med. the dog "sits" in it as he would sit on the floor. It's not as deep as the pic looks, my guy at 12 Lbs part of his shoulders are above the carrier. Here is the name and a pic of it. I choose the size Med. for extra room I think I paid $30. or under for it, it has cross straps across your back, then goes over your shoulders, all adjustable straps. I am happy with it, I keep it in my truck for the unplanned occasions I have him and stop off at a store.